International Nurses Day was celebrated at St David’s and St Christopher’s at Ascot Priory this month. The 11th May is marked all over the world to recognise nurses and carers for all their hard work to support the people they look after. It is always a special day at Ascot Priory because of the historic links to Florence Nightingale. This year the Colonel in Chief of Queen Alexandra Nursing Corp attended along with the Mayor of Bracknell, dressed in all their finery. 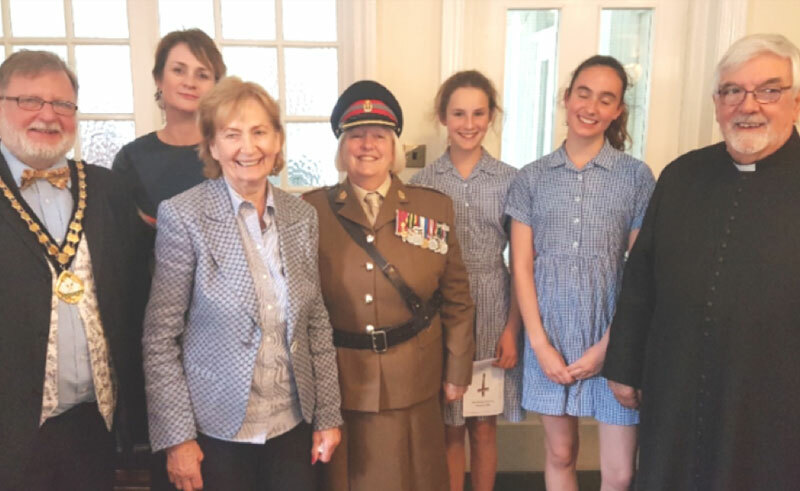 Residents and their families all enjoyed the service which was led by Father Paul McLaren-Cook, with a choral accompaniment by the Lambrook School Choir, and followed by afternoon of tea, scones & sandwiches. During the service we heard readings from residents and staff to reminding everyone what nursing really means.